The Geberit AquaClean Mera provides complete convenience and meets the highest design and function demands. Its sophisticated technology and stylish design complement each other perfectly, so cleaning with water will simply become a matter of course. The Mera Comfort model comes equipped with a complete and impressive range of features, including odour extraction and a warm air dryer. It includes an elegant remote control which is used to call up your personal water temperature, spray intensity and spray arm position settings. 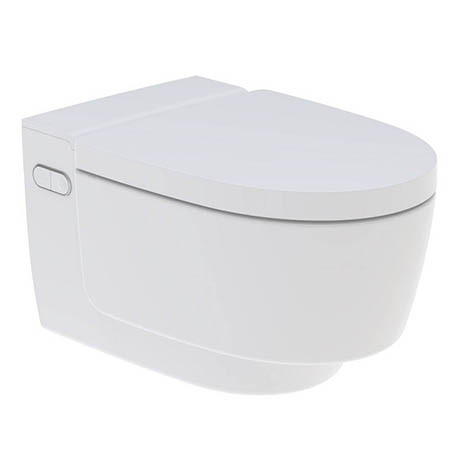 The Geberit Aquaclean Mera Comfort toilet comes with all the features of the Mera Classic but boasts extra features such as an orientation light in a range of colours, WC seat heating and touchless WC lid automatic function.